Alto is my first choice hotel when visiting Melbourne. The beds are very comfortable and the location is great. Perfect for a business trip. The welcome chocolates are a really lovely touch. Great breakfast. Great location, central to all amenities. Staff were friendly, courteous and very helpful. Warm ambience. Very comfortable and family friendly. The hotel is well-staffed and in an ideal location. The beds are very comfortable. The kitchen was very convenient and offered a great alternative to eating out. The complimentary coffee was also much appreciated. For visitors coming to Melbourne by train there is no better place to stay. It was nice and cosy very relaxing. I love staying at the Alto. The staff are always friendly and helpful and the location is ideal for either shopping or for business.I always feel safe at this hotel as well. My last stay was for a week, and I loved every minute of it. Comfortable rooms. Great location to Etihad Stadium, Exhibition Centre, Spencer St Station and tram stop right outside reception for no's 86 and 96 which run along Bourke St and through the mall. I enjoy my stays at Alto and will continue to use this hotel as my preference for Melbourne visits. A very pleasant stay. hotel staff were very friendly and helpful. The hotel has a nice warm and cosy charm. The location is excellent and we were very happy with the facilities. perfect for the purposes of my business visit. Very relaxing. Great to have my bags in the room that had been taken up during the day once i checked in. Very friendly helpful staff and room was amazing. The hotel was excellent and very comfortable, staff were friendly and the service was excellent. Overall a very positive experience. Staff were friendly and helpful and the hotel is in a great location. Would have no problem recommending this hotel to family and friends. Will definitely stay there again. 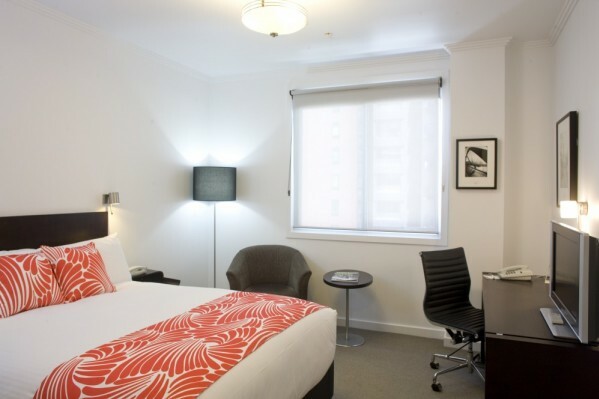 Quirky, but well run and very comfortable boutique hotel in the heart of Melbourne's CBD. The rooms are small, but well appointed. The breakfast/dinner nook offers surprisingly great food and service. Staff are fantastic. It was good and with at good location to access transportation in the city. Wonderful as usual. When we need to stay in Melbourne the Alto is our choice. Thank you! Very pleasant. I spoke to Jenny regarding the PVC mattress protector. The fabric causes me to sweat profusely and consequently I was continually waking in the night. I have had this problem in other accommodations that use the same brand. It is always lovely staying there. Its like a home away from home. Very pleasant stay - staff were great and everything was clean and well presented. Nice atmosphere - a bit like an upmarket backpackers! First visit and enjoyed everything at the Alto. Friendly staff. Impressed with the location. cleanliness and comfort. Nice and quiet also. Suited us very well being so close to the railway station. My stay was very relaxing. No noise from other rooms. Windows that you could open. Staff were very pleasant and helpful and meals were great also! The first time I came because of the location and the environmental accreditations. I come back for the free wifi, foxtel, coffee, apples, books and massage chairs. The food is great and I like that there is a 24 hour reception service. It's good to know that there is always someone there if you need something. There is a lot packed into a little hotel! I love coming back to my home away from home. First we were work colleagues attending a conference. The hotel was perfectly located and the staff were extremely helpful. Overall it was a very comfortable and pleasant stay. Check in was seamless and staff were courteous and helpful. Loved the fresh apples daily provided. Apartment was very clean and neat. I would not hesitate to recommend Alto to anyone visiting Melbourne. Great location, great rooms and great staff. Overall, the hotel met our expectations. I would not hesitate to recommend the hotel to family and friends.